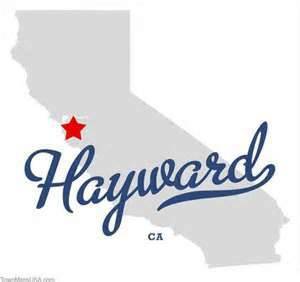 Your Hayward CA short sale specialist Scott Fuller has some updated market info for Nov 2012 covering the city of Hayward. We’ve had a crazy year with home prices going up a little bit. We’ve certainly seen the inventory levels go down. For example, in November, 2011, there were 230 active listings in Hayward CA. Fast forward one year to November, 2012, 58 active listings. That’s about 25% of the number of active listings in 2012 November as there was in 2011 November. A lot of people looking for properties on the market. If you’ve been looking for a house, you’ve seen that there’s been multiple offers above asking price. A lot of cash investors now into the market so inventory levels are way down. The number of properties sold in November, 2011. There were 94 properties sold in November, 2011. Fast forward to 2012, actually more properties sold. In November, 2012 there were 110 properties sold in Hayward CA. Hayward CA month’s supply of inventory on the market, which generally represents the number of months that active listings will go pending. We’ve got 1.7 month’s supply of inventory in November, 2011. That decreased down to almost half a month of supply of inventory for November, 2012. So again, inventory levels down quite a bit. Median sales price year over year, roughly the same, about $275,000. Days on market, roughly the same again, right around 60 days on the market. Pretty dynamic market we’re seeing towards the end of 2012 and beginning of 2013. If you have any questions on the Hayward market or to see how your Hayward CA short sale specialist Scott Fuller can help you sell your home as a short sale, you will want to contact us. You can also learn more about the services we provide as your Hayward CA short sale specialist on our YouTube Channel page!